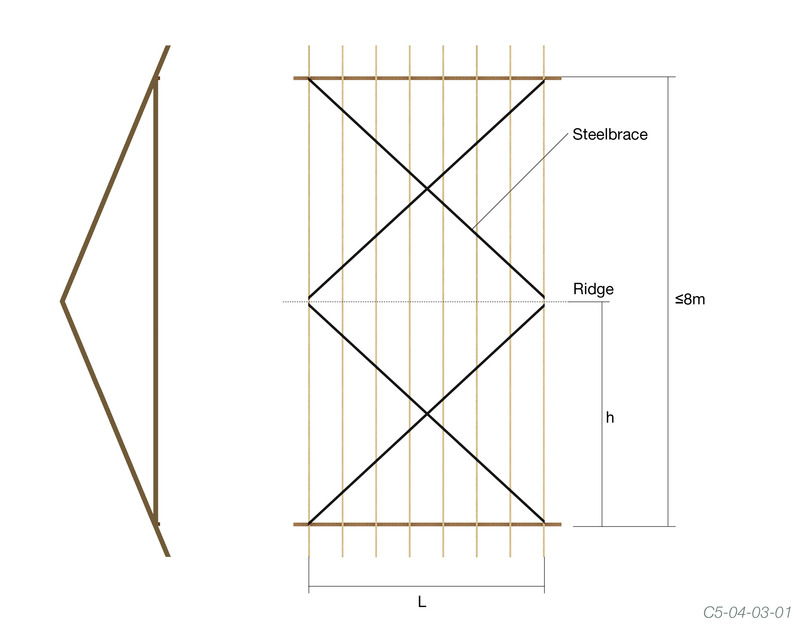 For spans up to 8m, the single steelbrace shall be arranged in a V-shape configuration. Each truss in the brace section shall be crossed with at least two braces. Roof length (L) less than half span (h). See section 13.3 and Figure C5-04-04-02. 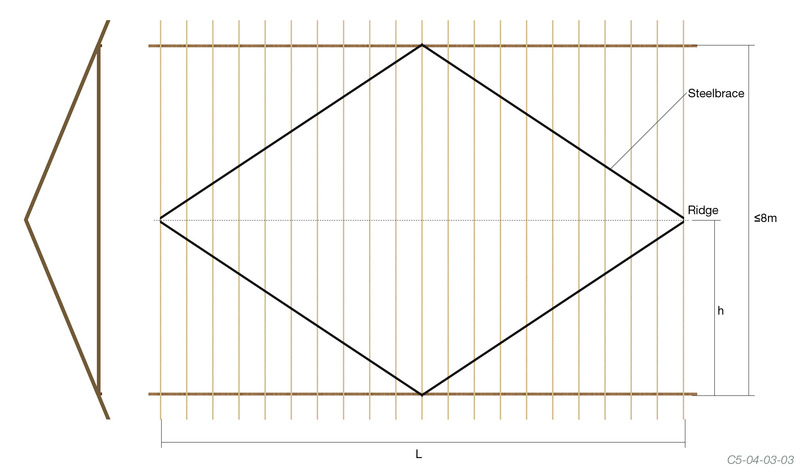 Where the roof Length (L) is 1 to 1.5 times the half span (h) of the roof truss, the steelbrace shall be arranged as shown. Where the roof Length (L) is 1.5 to 3.5 times the half span (h) of the roof truss, the steelbrace shall be arranged as shown. Where the roof Length (L) is 3.5 to 4 times the half span (h) of the roof truss, the steelbrace shall be arranged as shown. 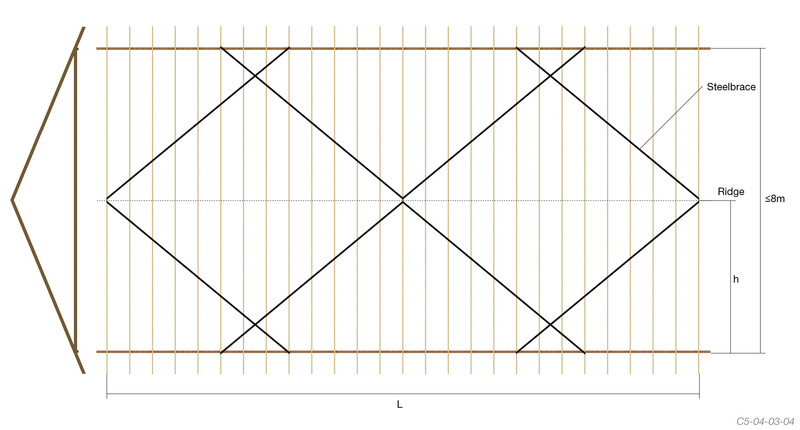 Where the roof Length (L) is more than 4 times the half span (h) of the roof truss, the steelbrace shall be arranged as shown.